Before I begin though, I’ll mention that its creators are no strangers to the challenges they face. Alex Karpenko and Chris Cunningham are Apple and Instagram alumni. To dive Olympically into a peripheral-based project takes bravery, know-how and a few exactingly placed insanity peppers. Even if it were literally a paperweight, our first action camera review criteria has to be durability. Then and only then should we consider its user interface. Beyond that, assuming it makes it through both gates prior, we’ll let the technical specs define its worth. As with many electronics companies, they’ve reversed the aforementioned priorities to give your wallet an early sheen, so let’s spread on the reality and put their product details to practice! Water resistant up to … not, the video camera itself is in no way a waterproof action camera. Their separately purchased “adventure case” provides enough of a seal to handle heavy rain while riding but the buy in for this add-on is a rather bloated $70 (as of this article’s publishing date). For that price, you only get up to three R&D fully-submersed meters, so don’t take your bike scuba diving. On the upside, their adventure case is GoPro mount compatible, making for easy installation. Rylo’s operational shock resistance also remains a bit vague as the company informed us. This is important since even subtle but consistent engine vibration might come into play. Be it a thumper, twin, triple, four banger or freak six, there’s an RPM range on your bike that begs for visual distortions in the resulting video. Some of our own (GoPro recorded) route videos show the effects of this and Rylo, with its digital stabilization, is a newfound saving grace. 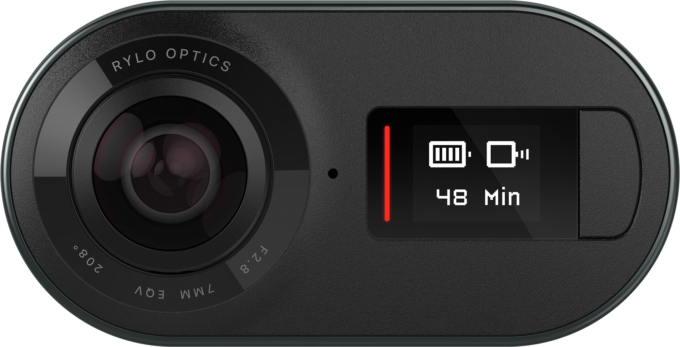 No other cam on the market solves said problem better (but we’ll get to that in a moment). 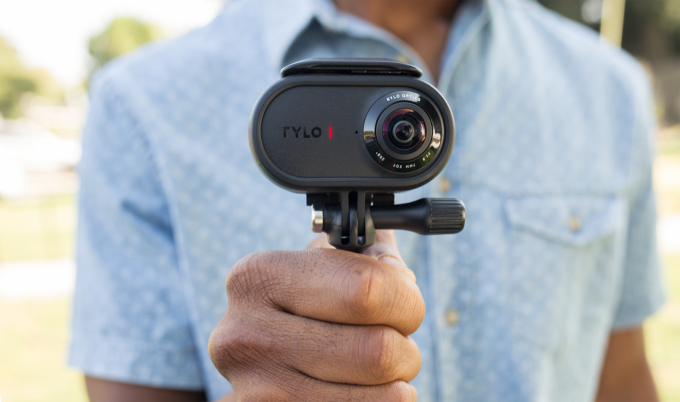 Rylo’s dual, 208° fisheye lenses capture more footage than you might think necessary for one specific reason: stabilization. Protecting our electronics from the elements is important, especially when riding under the guise of an “assertive” skill set. Water, debris, vibration, temperature … it’s all human engineering and mother nature teamed up against a tiny and sensitive video recording device. In the ($70) case of Rylo, it would appear we’re off to at least a reasonable start. 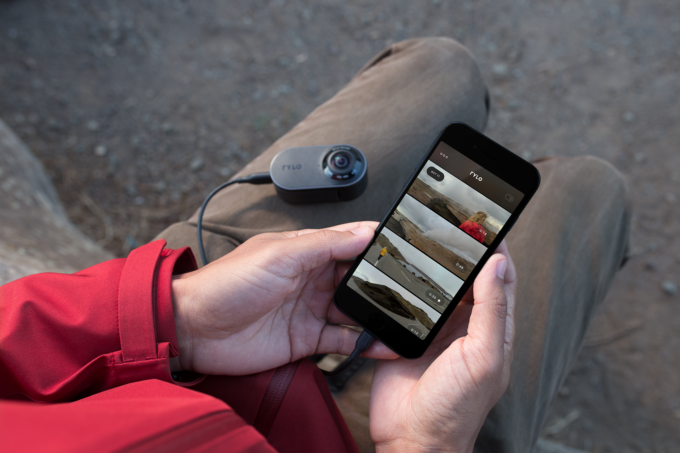 At the same time, those of us with opposable thumbs can enjoy Rylo’s smartphone app and its impressive, albeit amateur viewing/editing capabilities. The software boasts a compass, 360° video, extensive editing, PIP (picture in picture), positional scrubber and a truly innovative motion control/stabilizer that we’re almost ready to explain. Again, as of this publishing date, only the iPhone version of their software is complete while a seemingly infinite “Android version coming soon” message on their website constantly renews our sometimes painful hopes. Looking deeper into the software tools, there’s a “tune” feature which helps to calibrate everything. “Trim” clips sections of the output and “level” aligns the horizon. Stabilization is active by default but can be enabled/disabled should there be any reason for it. There is no desktop app [ugly record scratch] and a smartphone is required for editing. You can rake the files to your computer directly from the SD card but then the level/stability features are rendered moot and what would otherwise be one video becomes two (one for each lens). Should you uncover a solution, please let us know in the comments. The battery swap is a breeze. So is the SD card. Support is web form only but without hassle. Imagine a box with dimensions of 30×30 “whatevers”. Within that box, imagine another smaller box (20×20) which is your viewport. If Rylo senses the 30×30 environment is shaking, it repositions the 20×20 to realign. We pride ourselves on being a software company. Support for 60fps is something worth investigating as we may be able to add it later on through software improvements. Its battery charges via micro USB, storing up to an hour of data on a 256 GB SD card (16 GB card included). The Anodized aluminum alloy and OLED display weigh in at 108 grams, or 3.8 ounces respectively. That’s 39 grams less than GoPro’s HERO4 Silver. 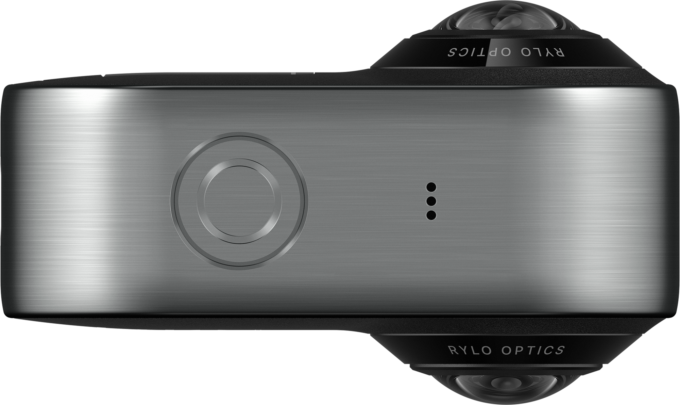 In a big world of struggling electronics, Rylo is a top-shelf contender. Not since the VSN Mobile have we had reason to revisit the topic. 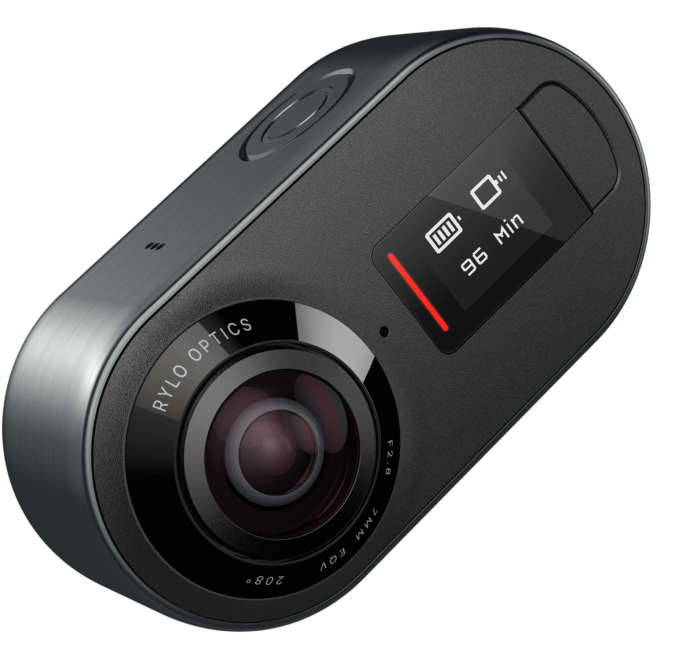 While we still love our reliable GoPro Hero 4 (an older incarnation), it’s good to see new tech on the horizon. Will they take over the market share? That depends on their next moves. We wouldn’t be surprised if GoPro found this an appropriate time to pull an ace from their sleeve. 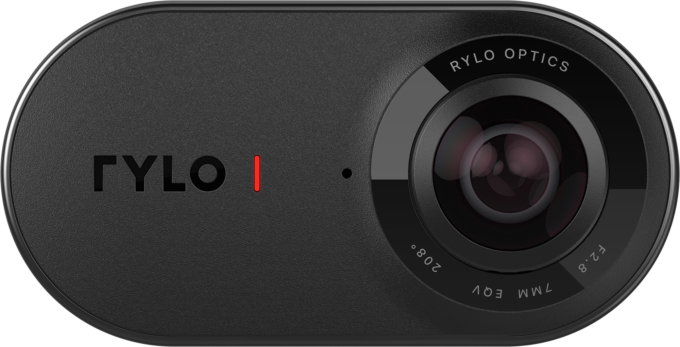 Their momentum building, it would appear Rylo has some pretty solid backing. Their pre-holiday announcement certainly caught us off guard (and maybe it would’ve been less of a molotov had they already finalized their Android version). We look forward to seeing what they do next. What’s Your Favorite Action Camera? The best action camera is the one that gets regular use. Which ones have you tried? What do you like about each and why? Your input is invited. Post an article!